The phrase “work hard, play hard” is with no doubt a common phrase, but nowhere is this phrase truer, in my eyes, than the bright lights of our nation’s capital. I think we would all agree that people are working longer and harder hours than ever before and our friends seem to be scattered around the tube map at distances that are just too much effort to overcome for a simple catch up sometimes. Therefore it is extremely important that when you do manage to plan an evening with a chum, you pick somewhere that is going to provide you with all the necessary ingredients for a good old knees up! With this philosophy in mind, when I heard my old flatmate was going to be in town for one night only, I managed to get hold of him and whisk him off for a real treat in the centre of the city! Having not seen each other in over a year, we had a lot to discuss and thought instead of popping to the nearest pub for a pint of beer, we were going to indulge in some quality liquor! I had booked us a table at the recently opened, Bitter Sweet in Kingly Court, Soho, literally next door to Flat Iron! 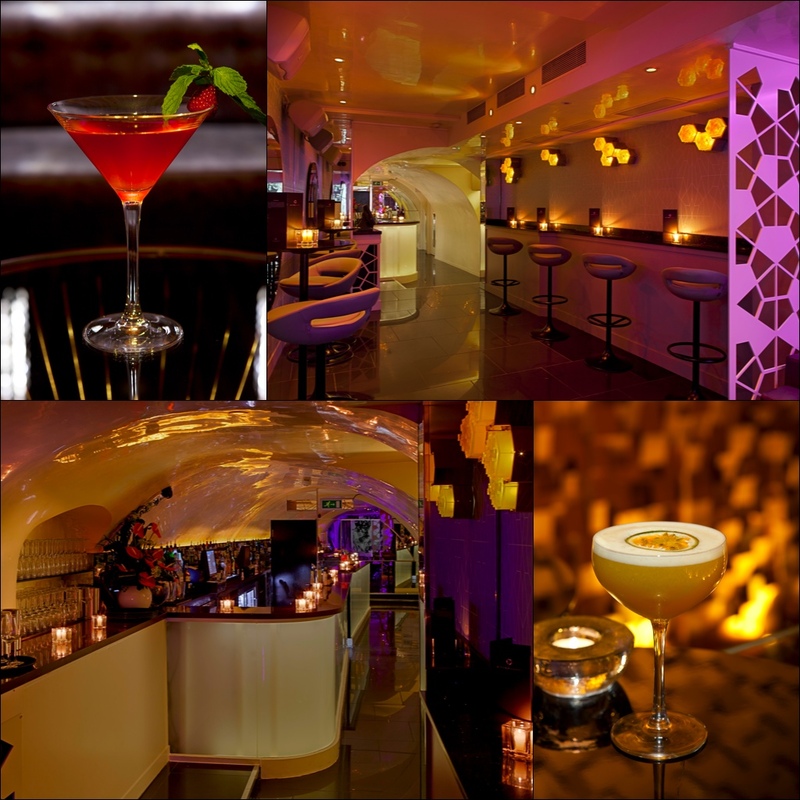 Bitter Sweet is a cocktail bar and members club and prides itself on its selection of unique bespoke cocktails. The menu focuses on the use of bitters to infuse and emphasise flavours in order to create an exquisite tipple worthy of any palate. However, as the name suggests, bitters are not the only thing on offer here. There is plenty to choose from for those of you who need to satisfy that sweet tooth, whether it be a tailor made signature cocktail or one of the classics. After leaving our coats with our hostess we headed to our table and made straight for the menu. It didn’t take us long to choose and we were soon quaffing our cocktails with great gusto! I do enjoy a drop of gin so opted for my favourite, the Bramble and George decided on the Dark & Stormy. Two classic cocktails that would give us the telling nod to say whether Bitter Sweet was the real deal or not. 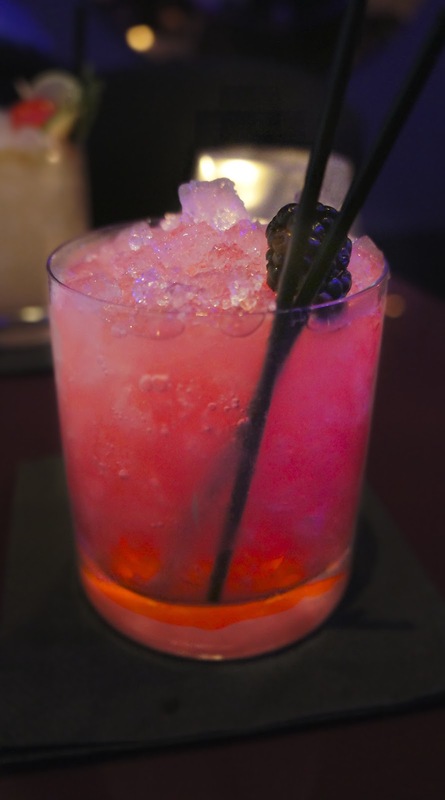 The Bramble is a simple drink of “Plymouth Gin, Fresh Lemon Juice, Sugar Syrup and Crème de Mure” and really hit the spot. It’s got a great refreshing kick with the Lemon Juice, which coupled with the Sugar Syrup and Crème de Mure made for a really smooth and quite powerful cocktail. It definitely lived up to my expectations and unlike other establishments I’ve tried, where the gin is lost behind all the ice and mixer, this time it was very prominent and I could tell we were in for a good night! The Dark & Stormy has become a very popular drink in recent times, partly due to the success of ginger ale and also Caribbean cuisine. 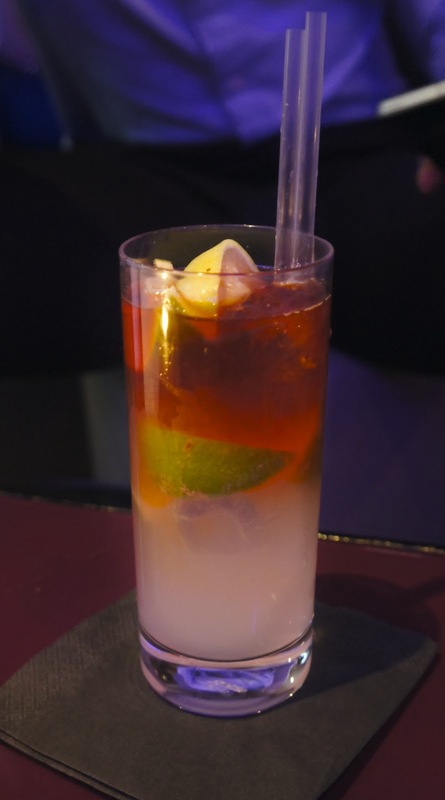 The Dark & Stormy is a tall drink comprising of “Goslings Dark Rum, Fresh Lime and Ginger Beer”. Don’t be fooled by it’s slender list of credentials though, the 80 proof rum packs a punch of flavour and potency. With hints of vanilla and caramel and boasting the Beverage Testing Institute’s Platinum Medal this is a classy Bermuda rum that glides down easily even when coupled with a strong ginger beer. 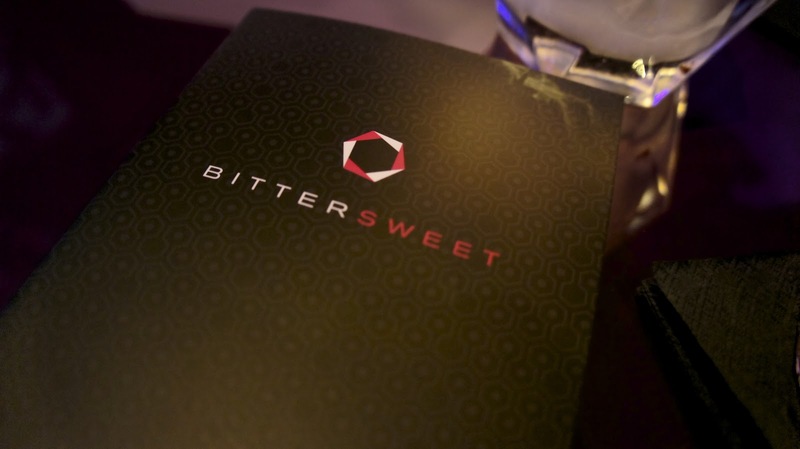 What was great about Bitter Sweet is the obvious passion they have for their cocktails. We collared the head honcho and asked him to make me one of his favourites. He decided upon the Old Fashioned for me. 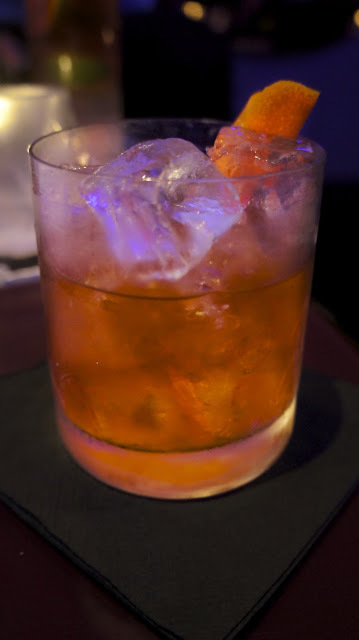 This short number was created using “Woodfords Reserve Bourbon, Angostura Bitters, Brown Sugar and Orange Zest”, which meant no mixer, so obviously this was going to be a strong one! It took him five minutes to make though as the bourbon is stirred with the ice for the duration. Dedication indeed! Although it sounds like it would be a harsh drink, it really wasn’t. The Old Fashioned is definitely a slow drink one that will obviously appeal to the whisky fans out there. George decided on a fruitier concoction for his second cocktail and went for one of the classics, the Mai Tai. 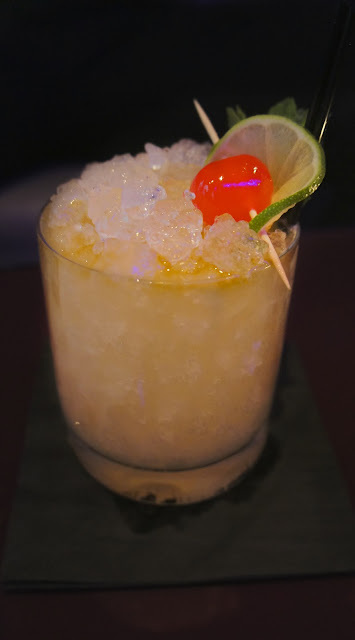 This delicious looking short contains a “Blend of Rums, Orange Curacao, Orgeat Syrup, Fresh Lime and Angostura Bitters” and just looking at it makes you feel like you should be on a beach in Hawaii! It’s a sweet tropical rum based drink and definitely one for the party mood when it looks as good as this. If you’ve got a sweet tooth like me, you’ll love these. However, be careful though, as when they taste this good you will quickly forget about the rum content and they’ll soon be flying down the hatch far too easily! My final drink of the night, premature it may be but this is a Tuesday night and some of us had to work the next day! Our lovely hostess for the evening had been extremely attentive all night and was yet to falter, so we decided to put her on the spot and asked her to make us two of her favourite, more special cocktails. For me she had decided on the Mr. Marmalade! The name has probably already given you a few ideas as to what may be used to invent this glorious final short. Well ponder no more! 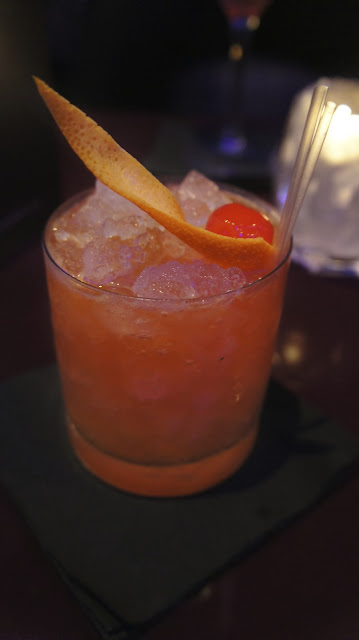 This one has an obvious focus on a certain citrus fruit and uses “Grand Marnier, Mandarine Napoleon Liqueur, Orange Marmalade, Campari, Angostura and Orange Bitters”. If you’re not a fan of orange you may want to choose something else from the menu as this is a zesty little number. For me though it was a refreshing end to a trio of great tasting cocktails! The drink that was presented to George was the Pinstripe, beautifully served in a martini glass, which meant no matter how he tried to drink it, he still came across quite feminine looking. Which of course I found hilarious, much to his dismay. In all seriousness though, in my mind this has got to be one of the best tasting cocktails out of the six. 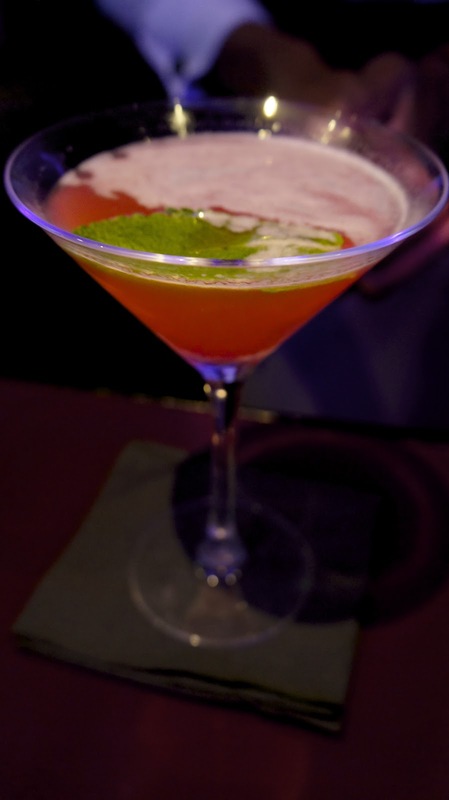 It is a combination of “Absolut Raspberry Vodka, Chambord Liqueur, Honey, Fresh Mint, Lime and Cranberry Juice”. An extremely sweet cocktail indeed but wonderfully flavoursome all the same. This drink is actually named after the bar’s original name, The Pinstripe Club. If you are eagle-eyed like me, when browsing the cocktail menu, you will spy a very intriguing story that actually links the old club to the heart of scandal and mystery but I will leave you to find that out for yourselves! After the third round was through we decided to call it a night as the party mood was slowly creeping up on us and we thought that anymore would undoubtedly lead to a night on the tiles! Bitter Sweet was a great venue for two old pals to reminisce about the glory days of university and care free living and our cocktails were the perfect accompaniment to help us unwind after work. If you are lucky enough to call Soho home or your place of work, you should definitely pop along to Bitter Sweet after work! Happy Hour will be in full flow, the party will be just getting started and the staff will be more than happy to help line you up with some incredible drinks!